"Working at Arrow Tru-Line is rewarding every day. I ORYHEHLQJDEOHWRKHOSRXUFXVWRPHUVƓQGVROXWLRQV that work for them and help grow their businesses." 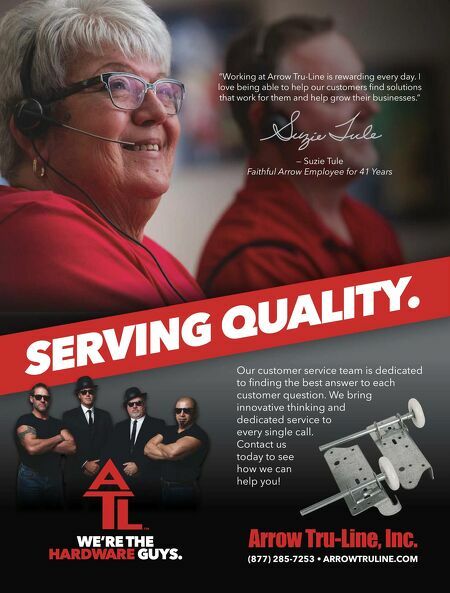 — Suzie Tule Faithful Arrow Employee for 41 Years (877) 285-7253 • ARROWTRULINE.COM SERVING QUALITY. WE'RE THE HARDWARE GUYS. Our customer service team is dedicated WRƓQGLQJWKHEHVWDQVZHUWRHDFK customer question. We bring innovative thinking and dedicated service to every single call. 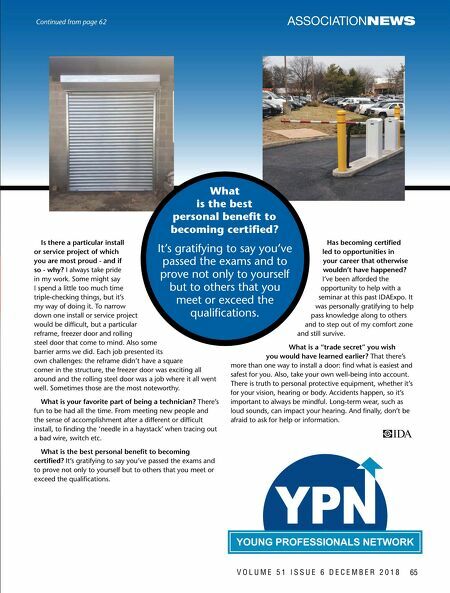 Contact us today to see how we can help you! Arrow Tru-Line, Inc.